Diabetes mellitus is a major public health problem. Increased susceptibility to microbial infections is common among chronic diabetic patients and is associated with serious complications and increased morbidity and mortality. The mortality rate of invasive bacterial infections has reduced significantly since the introduction of antibiotic therapy. However, the resistance to antibiotics is becoming a serious medical problem contributing to the high medical cost. In this study, we explored the feasibility of deploying a potential inorganic route (metalo-antibiotic) to treat localized infections that require long-term antibiotic treatment combined with medical and surgical intervention. We have selected osteomyelitis (bone infection) as a model to evaluate our inorganic route to treat the infection. Osteomyelitis is being seen with increasing frequency in patients with chronic diseases such as diabetes and peripheral vascular disease and in patients with poor dental hygiene. Osteomyelitis is a progressive infection that could result in limb amputation or patient death. The antimicrobial nanoparticle we have introduced in this study has the distinct property of long-term effect comparing to the silver or copper nanoparticles which have been reported earlier. The major drawbacks of copper or copper composite nanoparticles are that they form a copper oxide layer which diminishes the antimicrobial activity of the copper or copper composite. We have synthesized a unique composition of nanoparticles that are able to extend their residual efficacy on bacteria for an extended time compared to conventional antibiotics. The nanoparticles have a spherical shape with a diameter of 30 nm size which is approximately 200 million times smaller than a soccer ball. The particles are composed of three elements (Silver, Copper, and Boron) which has the ability to produce metal ions (Ag and Cu) in an aqueous medium for longer durations and as a result showed effective antimicrobial property in bone cells. 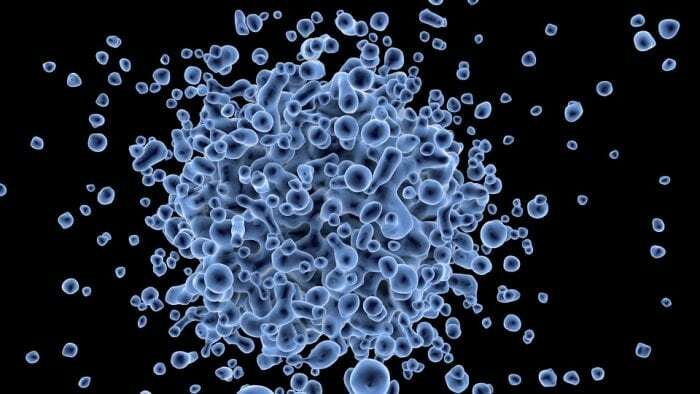 A single dose of antimicrobial nanoparticles showed 90% killing of bacteria causing infection in bone cells. Metallic nanoparticles exhibit toxic effects on host cells, in this case, bone cells. We have demonstrated that metalo-antibiotics are effective against intracellular bacterial infections without damaging the host cells. Our experiments demonstrated a tolerance of the particles for doses up to 20 times higher than the anticipated treatment dose. Our in-vivo studies showed that our nanoparticles do not induce adverse effect on mice that have induced infection. All mice survived when they were injected with Ag-Cu-B nanoparticles for three months and six post nanoparticles administration. The therapeutic dose was found to not produce ROS in host tissue or animal, which again confers that the dosage of nanoparticles administered to be safe. Hence from our in vivo and in vitro studies, we believe that the antimicrobial therapeutic dose used in this study to kill intracellular infection doesn’t cause an adverse effect on the host cells, however lethal to the bacteria. The data showed that administering our metalo-antibiotic intramuscularly induced a significant reduction in the bacterial count in the infected tibia of mice. A single dose of nanoparticles was injected into the mouse via its blood vein; we found a significant reduction of pathogens without harming the bones or the animal. We believe, it is the first study that demonstrated a new route of nano-medicine therapy for internal bone infection. Many of the approved antibiotics do not kill the intracellular infection. The overall impacts of our study are that it demonstrated the creation of novel inorganic nano-based composites to fight against bacterial infections particularly those requiring long-term antibiotic or surgical treatment or are polymicrobial and the reduction of critical technical risk through the generation of pre-clinical data of the employment of inorganic antibacterial complexes. This study, Metallic nanoparticles to eradicate bacterial bone infection was recently published in the journal Nanomedicine: Nanotechnology, Biology and Medicine. Yousef Haik is an internationally recognized scholar in the fields of engineering and nanotechnology. He has made notable contributions to the creation of novel nanomaterial that have seen applications in magnetic hyperthermia, onsite diagnostics, antimicrobials and solar cells. He is an inventor of numerous patents, many of which have been licensed. His publication record includes over 250 peer-reviewed articles, textbooks and conference proceedings. He is honored with a number of prestigious awards, including among many, the HH Sheikh Khalifa Award for Distinguished Research Professor, Arab Thoughts Foundation and the FUIW-FUMI Research Award. He is a fellow of the American Society of Mechanical Engineers (ASME) and a member of more than a dozen international societies. He serves as the Editor in Chief and on the editorial board for more than a dozen international journals. 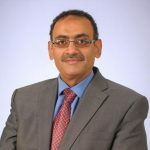 His academic career has included appointments in engineering (Mechanical, Biomedical and Nanoengineering) and science (Medicinal Chemistry, Physics and Nanoscience) programs. He is an ABET evaluator. His administrative appointments include Associate Vice President, Dean, Director for Research Centers, Department Chair and Graduate Programs Director. He has led the creation of a number of degree programs.